Sift flour and baking powder in mixer. Add one stick butter cut up and blend until the mixture resembles bread crumbs. Add sugar and currants. Slowly add the beaten egg and enough milk for the mixture to form a ball in the mixing bowl. Gently knead the mixture on a floured board and roll into 1 /4 inch thickness. Cut into 2 inch rounds with fluted cookie or biscuit cutters. Heat griddle (electric to 375 degrees) or large frying pan over medium heat. Rub griddle with butter or cooking spray. 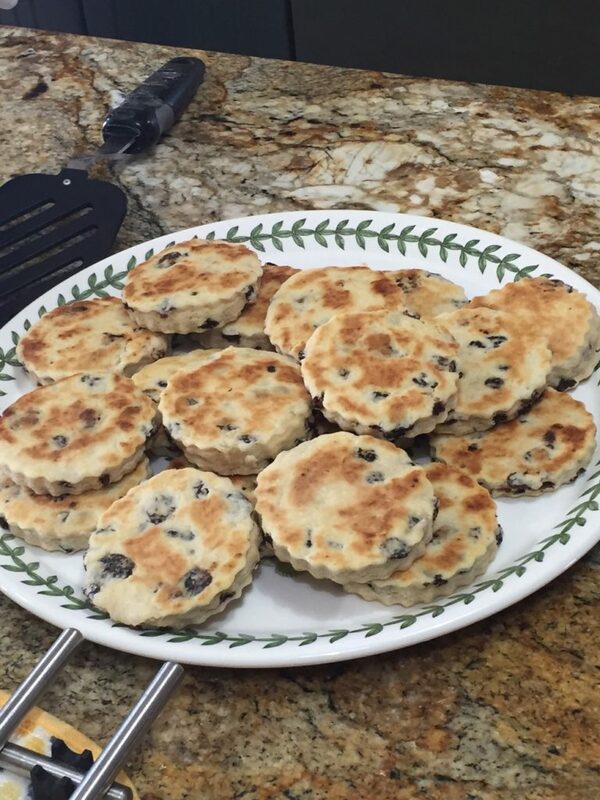 Cook Welsh cakes on griddle for 3 or 4 minutes each side until a golden brown in color. Serve warm or with butter.